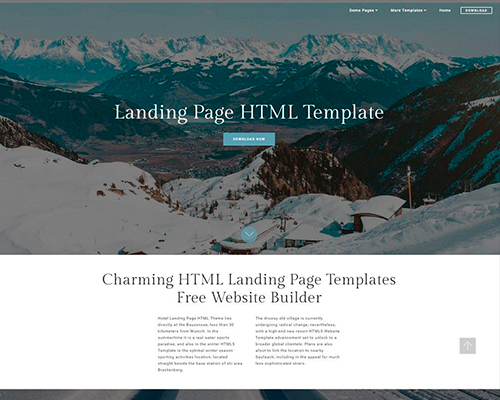 Today’s modern trends in website design require free bootstrap templates to be engaging, responsive, intuitive, and mobile friendly. From bold designs to minimalist graphics, to easy to understand menus, and graphic icons, the website must be a culmination of high-quality polish, interactive content, and unique flair. 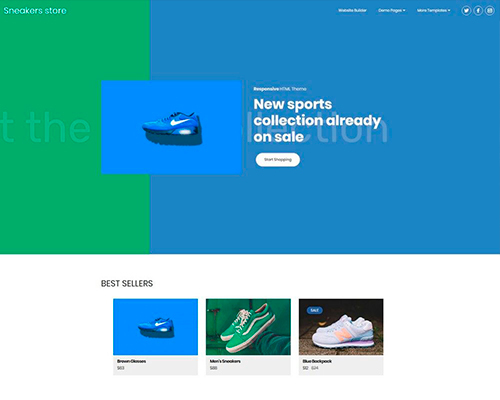 For web developers, the recent trends in drag-and-drop website builders have made their work easier, as landing pages, portfolios, and fully-featured websites can be made in mere hours on Mobirise, a new drag-and-drop website builder based out of the Netherlands. 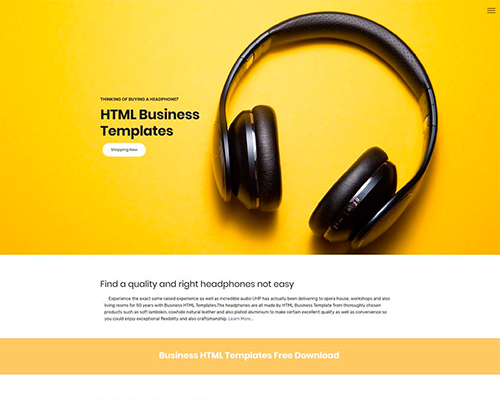 Mobirise’s HTML5 bootstrap templates are based on Bootstrap 4, which is an open source framework used by web developers to create stunning, responsive, and mobile-friendly websites. Bootstrap 4 is the go-to framework for website design as it contains dozens of building tools and plugins all with free updates. The HotelM4 Hotel Website Template is Bootstrap 4 theme, so it comes with numerous features, including thirteen categories of website building blocks. 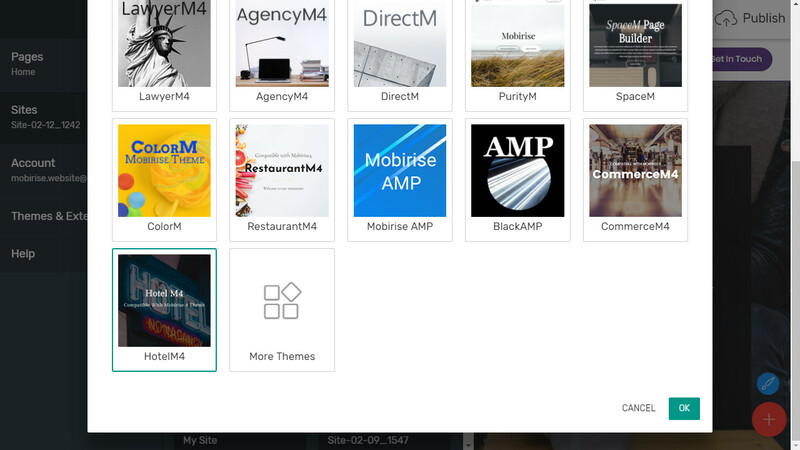 This ensures that every website built on the HotelM4 theme will be unique. What makes this even better is that you can use this theme in junction with Mobirise’s platform without needing any knowledge of coding! How Do You Use The Theme? 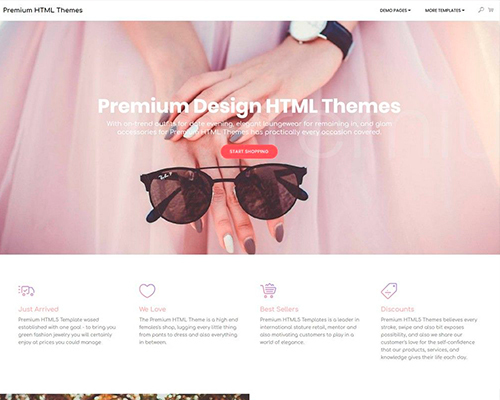 In order to create a modern and sleek hotel themed website, you first need to purchase the HotelM4 Bootstrap theme from the Mobirise website. The theme is considered an extension and can be found under the Mobirise Extensions HotelM4. Once you have purchased the Hotel Website template, head to the main Mobirise website and download the Mobirise platform either to your Windows or Mac computer. Open it up once it is installed and head over to the plus sign icon in the bottom right-hand corner. From there click the extensions button, add more, and navigate to the HotelM4 theme. Click on it and it will be inserted into your side panel. 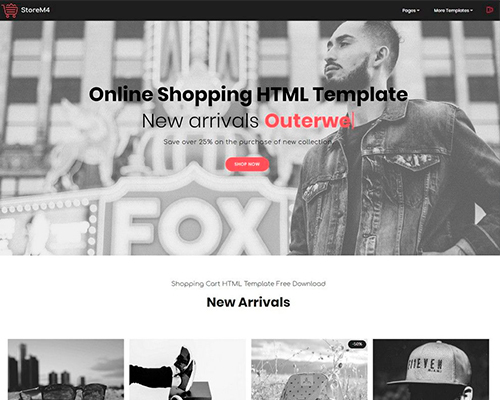 Now you can begin building your website using the HotelM4 template. The installation process for the theme and the platform does not take long at all. Once you are set up and have the HotelM4 Hotel Website template chosen, it’s as simple as dropping and dragging blocks from the menu. You can add in testimonials, maps, content, sliders, and galleries, pricing tables, menus, images, and videos, as well as toggle plugins. What makes the Mobirise platform so astonishing is the fact that it comes with over eight hundred unique website blocks all of which are utilized throughout the various templates. 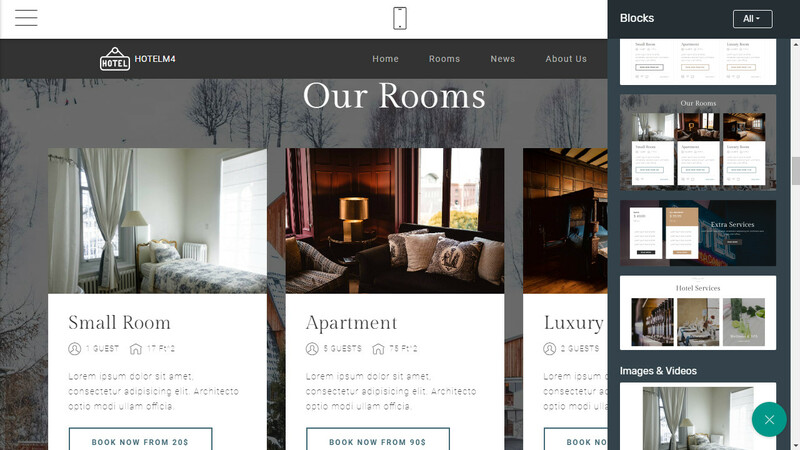 All of the blocks that you see in the themes are pre-built but can be mixed and matched from one Hotel Website Template to another. This means that no two HotelM4 websites will be the same, as you can combine various website blocks together to make a design that is truly stunning. For instance, you could have an introductory video as your first block, matched with an availability check-in option, matched with the best rooms available, and then a little bit about the history of the hotel. Or you could go with a check-in widget, matched with the hotel services, then on to the available bedrooms, and hotel amenities. Honestly, there is no end up the combinations that are available! The website blocks specific to the HotelM4 hotel website template are modern, clean-cut, fresh, and bold in style. They are engaging, easy-to-read, and are quite interactive in that there are plenty of call to action buttons, mouse over effects, and available sliders and galleries. 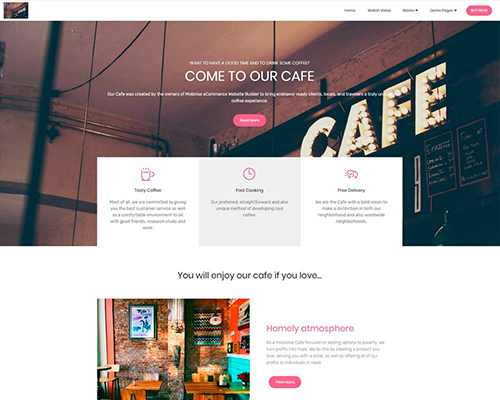 The HotelM4 template comes with thirteen different types of blocks which include: menu, headers, features, images and videos, sliders and galleries, content, forms, pricing tables, toggles and accordions, information, testimonials and teams, maps, and footers. 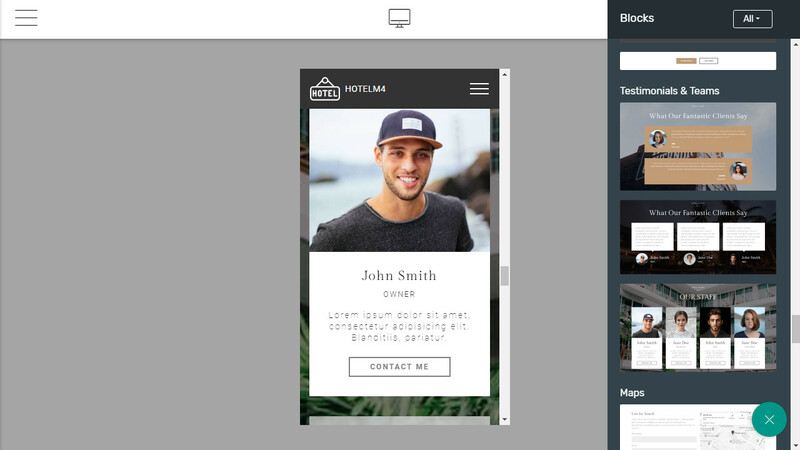 The HotelM4 templates comes with more than thirty different individual blocks, meaning that you don’t have to use the same menu twice, or the same contact form layout. You can pick and choose which blocks best suit the design you are going for, which gives you plenty of diversity, choice, and potential flair. 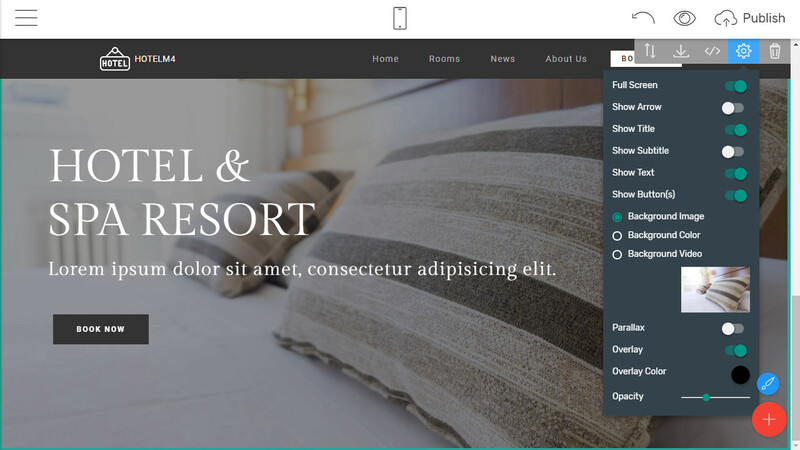 However, the HotelM4 hotel website template goes beyond just block choice, as each block can be individually customized as well. For instance, the image galleries have the choice of being high retina display, there are gradient options for background blocks, and there are changeable mouse over animations for the various forms. On the forms that you choose, you can edit the titles, add in icon graphics, add in a content block, or even choose to add in call to action buttons. Almost every part of the block has some form of customization to it, ensuring that you get the color scheme and atmospheric feel just right for your hotel. The main features of the HotelM4 Bootstrap theme are in its mobile-friendliness, responsive design, video auto-play options, colorful overlays, animation choices, retina images and video, and animated progress bars. 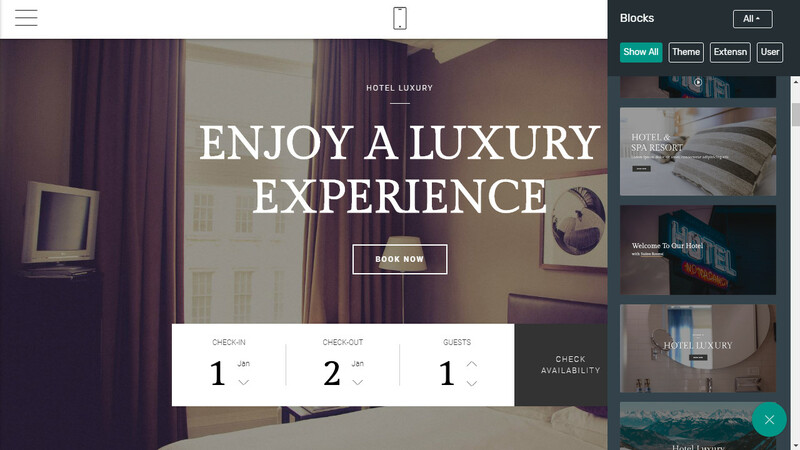 Plus, because the HotelM4 theme is flexible, you can even use it to create resort websites! Just How Mobile Friendly Is It? Every hotel website theme in Mobirise is mobile-friendly because the platform was built specifically with it and responsive design in mind. All website themes accommodate mobile-friendly options and will make automatic adjustments when viewed on the mobile-screen preview. You can view how the website displays on mobile devices, by clicking the phone icon in top center of the Mobirise application. 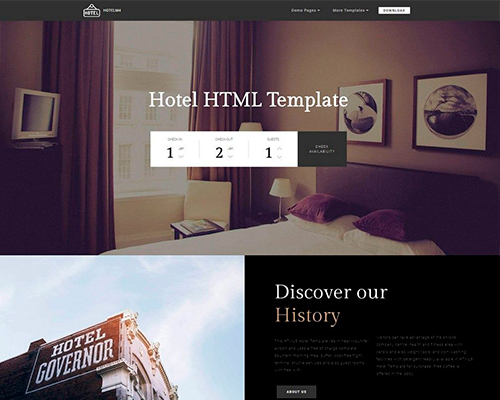 The HotelM4 template comes with every single block you would ever need for designing a high-quality and polished website for four and five-star hotels. 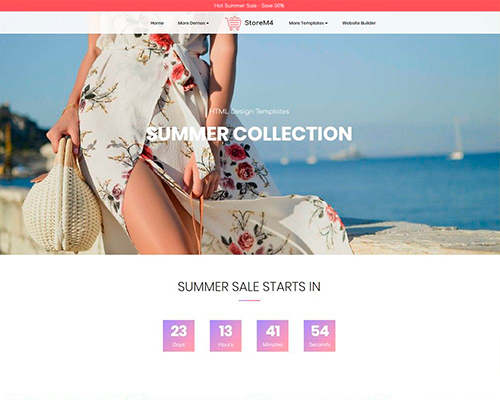 Every single block is customizable, changes are made on the go, and the theme is bold, stunning, and mobile-friendly. The HotelM4 blocks are bold in style, have clean cut lines, and are well polished. 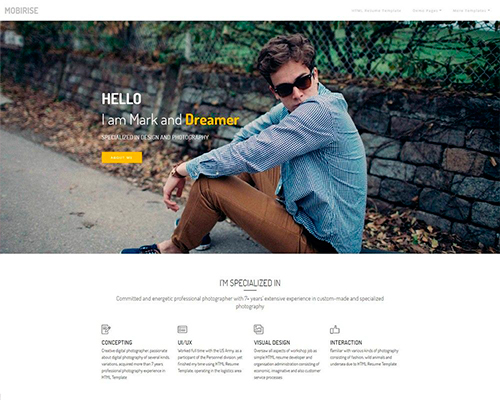 They are extremely professional looking and would make a stand-out and stunning business website. The Mobirise application software is free to download and free to use. The drag and drop editor is very intuitive, and the platform comes with over eight hundred blocks to build your website with. You can work on your website offline and save it to your local computer. Once the platform has access to the network again, you can publish with a click of a button. Mobirise accepts many different payment types, so buying a new theme or module is easy. Uploading your hotel website from the Mobirise platform is very simple! No coding and no website design experience needed! Unfortunately, if you want to use the HotelM4 theme directly, then you’ll have to pay $29.00 USD or $36.00 CAD for it. You have to set up your own domain which can be a confusing process if you are new to website building and publication. You will always have one block stacking on top of the other in a one-page type design. Overall, the HotelM4 free bootstrap hotel template is a modern and gorgeous take on what a high-quality hotel website should be. There are a considerable amount of options when it comes to the content blocks, so it makes designing the website intuitive, flexible, and most of all fun.